Sometimes we get tattoos to commemorate great moments or to celebrate the names of loved ones, but occasionally someone will remember a moment of great sadness in ink. With less than a minute to go in extra time, in an intense Round of 16 match between World Cup hosts Brazil and a talented Chilean side, Mauricio Pinilla found himself with a chance to win it. On 119 minutes, Pinilla slammed the ball off of Brazil keeper Julio Cesar's crossbar and the match went on to a penalty shoot out that Brazil would eventually win. 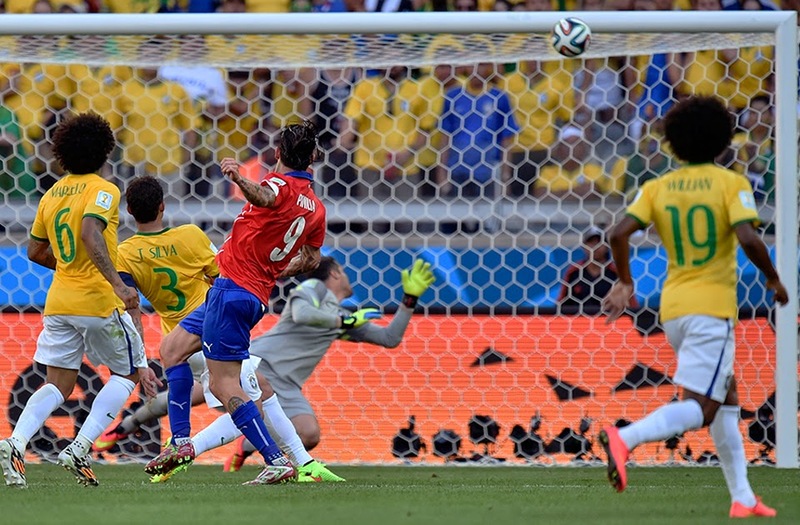 It was a cruel end to a thrilling campaign for Chile. In a match in which they had dominated for great stretches the Chilean side had taken the favourites to the limit and were so close to going through. Despite Chile's loss, thousands of fans lined the streets of Santiago to welcome the players home, with President Michelle Bachelet honouring the team. 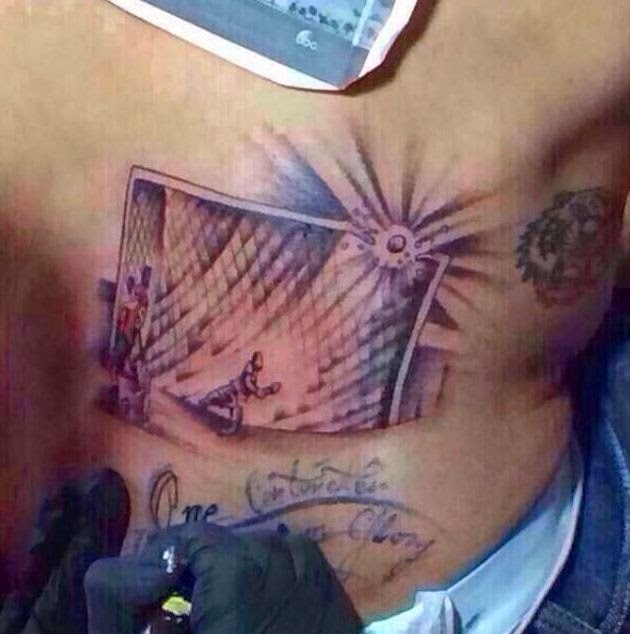 For Mauricio Pinilla, rather than try to forget the moment where he almost sent his side through to the Quarter Finals, he chose to get the moment tattooed on his back with the inscription: "One Centimeter from Glory" written in English below the scene of him striking the bar. It was a terrific World Cup for Chile and one can expect more to come from many of the stars in their ranks in the next few years. 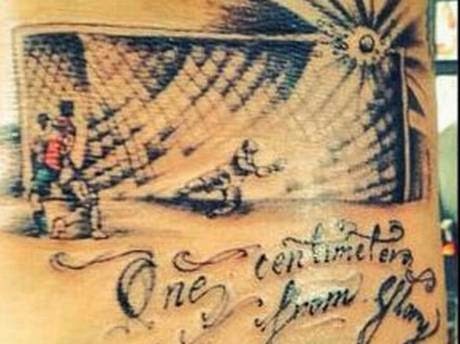 As for Pinilla he'll always have the tattoo to go along with the memories to go along with his contributions to their campaign.